Hi guys! I have a quick giveaway to share with you today - the kind people at Stockland have agreed to sponsor this little giveaway on Emily's Anthology. I will be giving away two books - Bobbi Brown's 'Beauty Rules', valued at $36.95 each! The prizes in this giveaway can only be sent to Australian addresses. 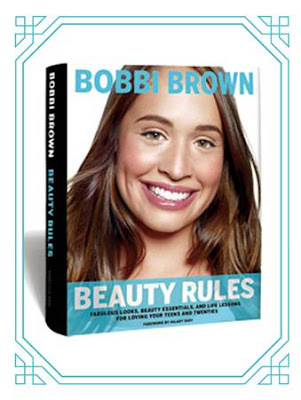 There will be TWO winners, who will each receive one copy of Bobbi Brown 'Beauty Rules' worth $36.95 each. This competition will run for 1 week, and will close on the 6th of September at 12AM AEST. Giveaway opportunity provided by Stockland, Australia’s largest diversified property group, with a range of home, land and retail developments across Australia. From houses for sale in Craigieburn to real estate in Aberglasslyn, there is sure to be a place to build your perfect home. And, as a leading sustainable organisation, Stockland’s developments are designed to enhance the environment – not to spoil it. Stockland gives your family a place to truly call home – a place where your family can live and grow.